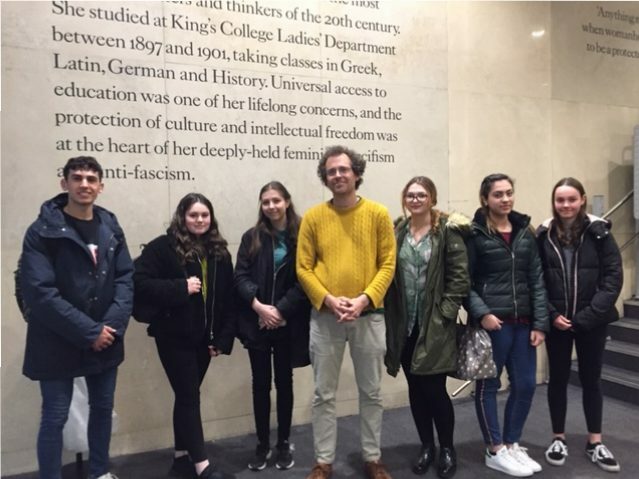 On Wednesday 3rd April, Year 12 MFL students accompanied by Miss Lago, took part in an inspiring visit to the Department of Spanish, Portuguese and Latin American Studies at King’s College, London. Dr Toby Green, a senior lecturer at King’s, organized an engaging day for our students as part of the college’s outreach programme and students had the opportunity to participate in Spanish and Portuguese tutorial sessions. The day was shared with Sixth form students from Harris Girls’ Academy, East Dulwich and our students are now feeling very inspired to study Spanish beyond A Level!